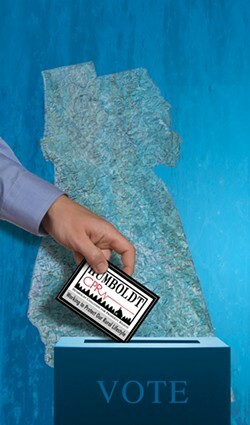 Lee Ulansey was drawn into the world of Humboldt County politics during a bizarre game of brinkmanship back in 2007. The stakes were local, including thousands of acres of timberland, but the game was being played in a courtroom on Texas' Gulf Coast. It was the bankruptcy trial of Pacific Lumber Co., which, under the stewardship of Charles Hurwitz and his Houston-based Maxxam Corp., had spent 20-plus years operating like some rapacious clear-cutting machine straight out of The Lorax. Now drowning in debt, Pacific Lumber presented the bankruptcy judge with an audacious proposal: The company could cash out its remaining chips and pay off its creditors by subdividing some 22,000 acres of Humboldt County timberland, chopping it into 160-acre parcels and selling them as "kingdoms" for the uber-rich. The affluent buyers could then build their dream mansions in the forest because in Humboldt County, unlike some other rural counties in the state, single-family residences are allowable on land zoned for timber production (TPZ). All you need is a building permit. But the Board of Supervisors, which was following the trial closely, didn't want all of that viable timberland subdivided; it didn't want a bunch of new homes built in the hinterlands; and moreover, it didn't want any more dealings with the loathed Maxxam Corp. And so, in a bold counter-maneuver, the board enacted a 45-day moratorium on building permits for TPZ land. In doing so it hoped to send the Texas judge a message -- that Pacific Lumber's mega-ranch liquidation sale would not be tolerated. It seemed to work: The judge rejected Pacific Lumber's proposal, and eventually the company was dismantled, its assets awarded to the Marathon Capital Group and Mendocino Redwood Co. But the TPZ moratorium -- and a subsequent flirtation by the left-leaning board with permanently tightening home-building restrictions for TPZ land -- had a dramatic side effect: It pissed certain people off something fierce, among them Lee Ulansey. Although many environmental advocates supported the change as a way to protect rural watersheds and wildlife, property rights advocates, including many of Humboldt County's 1,700 owners of TPZ land, saw it as a threat to their property values and way of life. They considered themselves stewards of their own land, and their right to build on it sacrosanct. Ulansey, a Kneeland resident who identifies himself as an artist and woodworker, responded by founding the Humboldt Coalition for Property Rights, or HumCPR, a group that quickly attracted commercial developers, contractors and Realtors along with SoHum pot growers and back-to-the-land homesteaders, an unlikely alliance bound by a mutual distrust of the government. In the years since its formation, HumCPR has become an ever-more-powerful -- and secretive -- political force. With financial support from its members, whose names it won't reveal, the organization has produced and distributed tens of thousands of newsletters filled with warnings about an assault on rural lifestyles. In recent election cycles it has harnessed the resources of sympathetic wealthy developers to flood the campaign coffers of its chosen political candidates. It has called for the removal of planning department leadership and accused county staff, the Planning Commission and various environmental groups of "social engineering" and "forcing our children into cities." One year, a handful of the group's most active members got appointed to the Grand Jury, where they had subpoena powers to continue the campaign against county officials and staff. All the while, HumCPR has worked hard to influence the general plan update, and it has filed two lawsuits against the county that have yet to be fully resolved. And now the group's three most prominent members have become policymakers in county government, filling one fourth of the 12 available seats on the Planning Commission and Board of Supervisors. 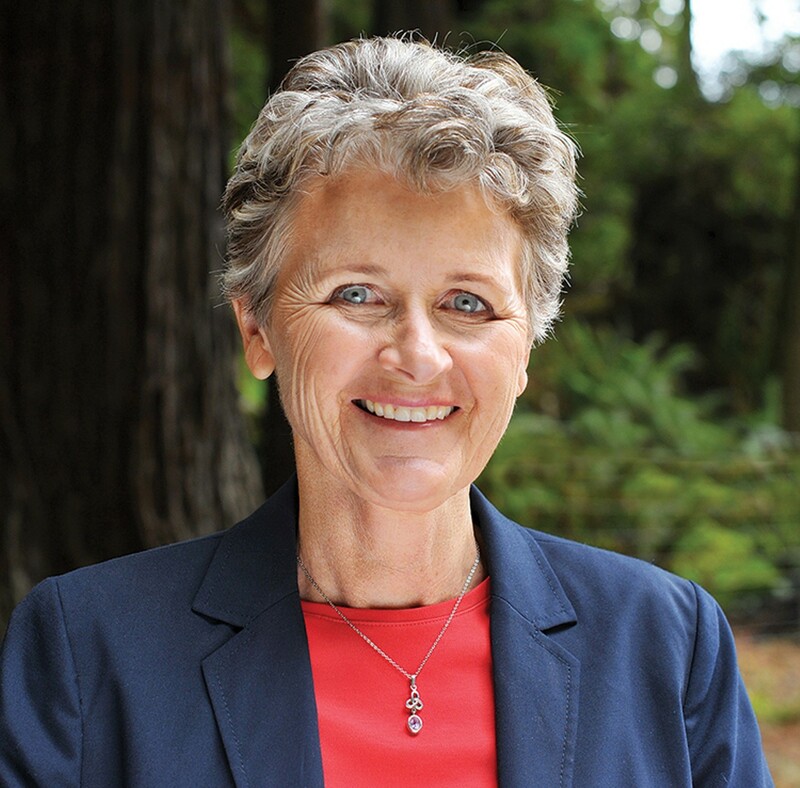 On Jan. 7, Estelle Fennell, who spent almost three years as HumCPR's executive director, assumed the Second District seat on the Board of Supervisors. A week later she appointed to the Planning Commission professional forester/real estate investor Bob Morris, who remains listed as HumCPR's treasurer and agent of service. And late last month the board voted 3-1-1, with Supervisor Mark Lovelace dissenting and Supervisor Ryan Sundberg abstaining, to appoint Ulansey himself to the Planning Commission. With the long, long-overdue general plan update still under review by the board, and with the Planning Commission yet to craft the details of that plan through zoning ordinances, HumCPR's rise to power comes at a very opportune moment for shaping the county's future. With his burly physique, a mountain-man beard and hair like steel wool, Ulansey cuts a striking figure. Visually he'd fit in as a prospector on HBO's Deadwood or, if you add Birkenstocks and tie dye, standing in the beer line at an outdoor blues festival. Friends say he's smart, passionate and politically savvy. Adversaries say he's hot-tempered, vindictive and devious. Though he lists his occupation as an artist and woodworker, Ulansey spent years working as a property manager for the Eureka-based commercial real estate firm Carrington Co. He now owns or co-owns more than $2 million worth of property in Humboldt County. His holdings include commercial real estate (he owns a storefront on Main Street in Fortuna and half a block of businesses on Eureka's Fifth Street, including the HumCPR office) as well as several Eureka apartment buildings and nearly 200 acres of redwood TPZ land on Greenwood Heights Drive in Kneeland, where he lives. When the Journal first called Ulansey and requested an interview for this story, he hesitated, remaining silent for almost 30 seconds before saying he needed to give it some thought and check his schedule. Over the next two weeks, Ulansey did not respond to numerous voice messages and emails. Early last week he sent Journal Publisher Judy Hodgson an email declining the interview request. He expressed concerns about his views being portrayed fairly and accurately. In response, the Journal offered to post two audio files of the entire interview on our website -- one recorded by Ulansey and the other by the Journal. He again declined, saying in an email that it would be too troublesome for readers to find and listen to the audio files. With HumCPR's activities readily available in newsletters and online, the Journal was mostly hoping to ask Ulansey about his behind-the-scenes political organizing. It is widely rumored that Ulansey has worked as a political operative of sorts alongside Rob McBeth, co-owner of Arcata-based industrial fabrication company O & M Industries. What's known is that during the last few election cycles the duo made personal visits to several candidates and potential candidates, urging them to either support their property rights agenda or step aside for someone who would. Annette de Modena, a retired teacher and Republican who ran for the First District Supervisor seat against Rex Bohn and Cheryl Seidner last year, said Ulansey and McBeth came to her home very early in the campaign, ostensibly to see if she was someone they wanted to support. She never heard from them again -- "never gave me the courtesy of a phone call," she said. But Ulansey did call her campaign manager later in the race and tried to convince him that de Modena had no shot of winning, she said. Ulansey also paid a visit to (now former) Second District Supervisor Clif Clendenen early in the last election cycle, telling him that if he didn't support his positions on certain issues then Ulansey would raise money for a candidate to challenge him -- this according to Eric Kirk, an attorney who considers Ulansey a friend. Of course, Clendenen did end up with an opponent, losing the election narrowly to former HumCPR head Fennell. Before voting to appoint Ulansey, Supervisor Virginia Bass admitted that she had concerns about him, but she said that after meeting with him and asking some tough questions she felt reassured. What were her concerns? "He's very blunt when he speaks," she told the Journal. She said she told him that staff needs to be treated respectfully, as do public speakers who come before the commission -- "just kind of setting out ground rules there," Bass said. Despite these concerns, Bass admires Ulansey's "knowledge and passion." (As a Eureka City Councilmember she nominated him for the city's Planning Commission but failed to get the 4/5ths vote required to appoint someone who doesn't live in city limits.) She thinks he'll do a good job on the commission. Chair Ryan Sundberg, who had abstained from the vote because he wanted a candidate from McKinleyville, told the Journal that he thinks Ulansey is "a nice guy" and "a smart guy." "I think he'll be very strong on property rights," Sundberg added. In financial disclosure statements to the county Ulansey values the three TPZ parcels he owns on Greenwood Heights at more than a million dollars. And his tax records reveal the value of developing such land. Last year, for example, he was assessed just $7,040 on a 40-acre parcel of redwood timberland. Another $9,856 was assessed for an adjacent 51-acre parcel. But the third parcel, which was purchased from Simpson Timber in 2001, was assessed at $522,336, more than three-quarters of which was for a house that the Ulanseys built in 2002. Before Ulansey applied to be a planning commissioner, before he hired Estelle Fennell to run his corporation, before he even launched HumCPR, he submitted a request to the county concerning his TPZ property. This request was made on Oct. 11, 2007, just two days after the Board of Supervisors issued its 45-day moratorium on TPZ building permits. Ulansey asked to have about 30 acres of his TPZ land rezoned as residential agriculture or agriculture general, so that it could be split up into parcels as small as 2½ acres, with the potential for a house on each one. The request went before the Planning Commission, which recommended to the Board of Supervisors that the land remain zoned TPZ. But since the request is related to land use it is now attached as an amendment to the general plan update. The board has yet to rule on his request. Property rights, of course, are a complicated thing. Does my right to do anything I want on my property let me dump a reeking cow carcass in the creek that provides my downstream neighbor's drinking water? Does my right to build a new subdivision entitle me to create a bunch more traffic on your quiet street, or do I have to make amends by paying for a traffic signal? In public policy circles, liberals sometimes accuse conservative business people of wanting to socialize costs while privatizing benefits. That is, taxpayers pay for the costs of growth, while landowners or business owners pocket the profit. Developers of big projects often counter that growth helps everyone, creating more jobs and a stronger economy. Landowners often say that limiting what they can do on their property is pretty much the same as taking it without paying for it. (This was the position the other HumCPR official who is now a planning commissioner, Bob Morris, took in 2003 with an unsuccessful lawsuit against the federal government for preventing him from cutting down old-growth redwood trees.) From all sides, it's a complicated equation -- who has the right to use his own property in ways that make a neighbor miserable? And how miserable? Is a river drained dry OK? Are toxins in the groundwater OK? When does it stop being fair? Ulansey outlined the HumCPR position in its spring 2009 newsletter. "HumCPR has evolved from the basic premise that the people of Humboldt, not a few bureaucrats, should have the absolute choice over where and how we live our lives," he wrote in a column that bore his picture. Around that message, Ulansey has rallied a diverse coalition of those who disdain government and those who could profit greatly from less of it. Kirk, who also writes the blog SoHum Parlance II, said Ulansey has cleverly tapped into southern Humboldt's independent streak and developers' anti-regulation streak and united them under the banner of rural issues. Kirk sees a distinction between what he calls "HumCPR right" -- developers, foresters and real estate agents such as Bob Morris, Ben Shepherd and Tina Christensen -- and "HumCPR left" -- people like Peter Childs, a progressive Democrat living in Miranda, and Charley Custer, whom the San Francisco Chronicle profiled in a story called "Charley Custer, Humboldt County pot grower." "What HumCPR did, and I think this is political brilliance on the part of Lee ... is he put this coalition together way back when the code enforcement stuff started happening," Kirk said. That "stuff" was the campaign by armed and overzealous county agents who roamed the hills, raiding rural residences and enraging locals before the Board of Supervisors reined them in a few years ago. SoHum residents may be socially progressive, Kirk said, but they have a libertarian attitude toward government, and they take pride in their land. "To suggest that their lifestyle might actually be detrimental environmentally, that's just not a concept that a lot of them are willing to stomach," he said. "We have different experiences and attitudes," Kemp said. Southern Humboldt folks "don't trust the government to come in and do right by the hill people." Not everyone sees HumCPR's alliance as benevolent. At a general plan update meeting last year Arcata City Councilman Shane Brinton described the group as "an unholy alliance" of pot growers and developers. "The linkage there, really, is buyers and sellers of property," said former supervisor Clendenen. "Both stand to gain." Kemp believes that most of Fennell's supporters cared less about her tenure as executive director of HumCPR than they did about the years she spent as KMUD radio's news director, when she often gave listeners the heads-up about impending drug raids and forest fires. "She was a friend, a voice in their living room who could be trusted to tell them the truth," Kemp said. Like Ulansey, Fennell was reluctant to grant an interview request. Ultimately she agreed to answer questions only if they were submitted via email. The response she sent several days later left most of the questions unanswered. She wrote, "I reject the manufactured concerns of my political foes" and added that she has full confidence that Ulansey and Morris "will carry out their duties in a professional and ethical way." It certainly didn't hurt Fennell's campaign to have the financial backing of a long list of donors from the business community, many of whom also made big contributions to Supervisors Bass, Sundberg and Rex Bohn. As the Journal reported previously (see "Interested Parties," Oct. 14, 2010, and "District Soup," May 10, 2012) these donors have deep pockets and remarkably lockstep patterns to their contributions. Prevailing wisdom holds that this coordination was not coincidence but rather the result of careful planning and execution by Ulansey and McBeth. The latter chairs a political action committee called the Humboldt Builders Exchange. In all, more than 30 donors contributed $1,000 or more to two, three or all four of the above-mentioned supervisors (that is, everyone but Mark Lovelace). The effort was especially coordinated in 2010, when at least two dozen donors gave exactly $1,500 to both Sundberg and Bass. McBeth was among them, and his PAC gave even more -- $4,500 to Sundberg and $2,500 to Bass. Two years later McBeth gave $1,000 to Fennell. Morris, HumCPR's former secretary, now a planning commissioner, gave $1,500 to Bass, $500 to Sundberg and $250 to Fennell. Ulansey and/or his wife gave more than $2,000 to Sundberg, another $2,000 to Fennell, $1,500 to Bass and more than $500 to Bohn. The vast majority of the other big donors came from the development crowd: Kramer Investment Corp., C & K Johnson Industries, Barnum Timber Co., Eureka Readymix and many more. All of the candidates favored by Ulansey, Morris, McBeth and these mega-donors outspent their opponents in the supervisor races. And with the exception of Karen Brooks, who failed to unseat Lovelace in the Third District, they all won. For the general public, HumCPR's most visible presence has been the full-color newsletters that have blanketed the county. The company published more than 60,000 copies of its latest edition, distributing them inside local publications (including this one) at public meetings and on distribution racks at local businesses. Filled with opinion pieces, candidate questionnaires and a certain amount of name calling, the newsletters have consistently criticized county staff, called for reversing or dramatically altering the general plan update process and sounded alarm bells about the environmental extremists who have allegedly hijacked the general plan and infiltrated the county planning department. The other new HumCPR planning commissioner, Bob Morris, lamented in HumCPR's summer 2009 edition that the county has set aside only 158,000 acres for rural homesteads. "This seems like a large number, but let's analyze it in a little more detail," Morris wrote. "The County is comprised of approximately 2,300,000 acres, so it is apparent that 93.2% of the County is OFF LIMITS for ‘rural homesteads.'" These limits have financial significance for Morris, whose extensive land holdings exceed even Ulansey's. He personally owns hundreds of acres of TPZ land and has invested in another 1,000-plus acres through investment groups, limited liability companies and land holding entities. Morris did not respond to half a dozen messages left on his voicemail over a period of two weeks. After years of loud and public calls to action, HumCPR is coming under increasing scrutiny of critics who say it doesn't walk its own talk. •When HumCPR took on the Resources Legacy Fund Foundation, Ulansey called it a "shadowy" group. And yet, like all nonprofits, the foundation must report its finances annually to the IRS and they're readily available online. HumCPR, on the other hand, is a private corporation, classified by the state as a "business entity." As such, its finances are kept hidden from public view. The company is answerable only to its secret financiers. HumCPR does not disclose salaries, its meetings are not open to the public, and its membership is a closely guarded secret. (A list of members used to be listed on HumCPR's website, but it was removed years ago.) If the nonprofit Resources Foundation is a "shadowy" group, then HumCPR is completely opaque. 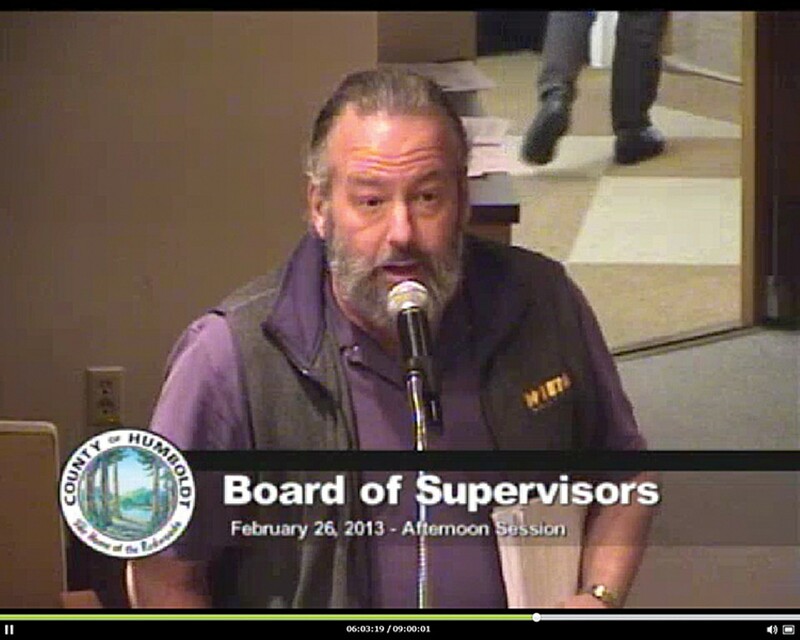 •HumCPR called on Supervisor Mark Lovelace to recuse himself from all general plan deliberations because he once served as the executive director of Healthy Humboldt, an environmental coalition which was partly funded by the Resources Legacy Fund Foundation. His refusal to do so is "inherently wrong ethically and morally," the organization's board wrote in a newsletter last summer. And in last year's supervisorial campaign, the HumCPR board said that since Fennell might also be looked on has having a conflict, "We have the utmost in confidence that a Supervisor Fennell would immediately recuse herself from discussion and/or votes." Now that Fennell holds that seat, neither Ulansey nor Morris nor anyone else with HumCPR has called on her to recuse herself from voting on the general plan. Asked twice, in two separate emails, whether Ulansey or Morris should recuse themselves from any votes, Fennell declined to respond directly, writing only that many public officials have strong feelings about building on TPZ land. "Should those who represent one point of view be favored over others on a commission that is supposed to represent the whole of Humboldt County's citizenry?" she asked. •At least five members of HumCPR served on the 19-member 2009 Grand Jury. That jury concluded, among other things, that the county needs to manage its money better, should create an audit committee, and should wring out inefficiencies by having the Board of Supervisors delegate all day-to-day operations to a CEO/manager. HumCPR criticized the county for brushing off the panel's suggestions. "It is not an appropriate response to a year's investigation done by dedicated Jurors," the board grumbled in its newsletter. "The Jurors are citizen volunteers looking at data from an impartial viewpoint." Nowhere in the newsletter did HumCPR disclose that that that "impartial" viewpoint came from jurors who were members of its own leadership, including Morris and Ulansey. •HumCPR supporters and other property rights advocates often suggest going back to the county's "framework" general plan, which was written in 1984 (and is so out of date that it no longer complies with state law). But in fact, that plan actually set aside even less land for remote rural development -- 131,000 acres -- than the county's current level. It also contains a number of concepts that have recently been attributed to environmental extremists, including "clustering development" near existing services and discouraging residential subdivisions on resource land. Which raises the question -- what exactly does HumCPR want? During its rise to power, one of HumCPR's frequent strategies was to dismiss and belittle government. Now its officials and former officials are part of that government. Much of the fine tuning for the county's land use rules will eventually be handed back to the Planning Commission, which now includes Ulansey and Morris. Disputed issues could rise to the Board of Supervisors, which now includes Fennell and many who received donations from HumCPR allies. According to Senior Planner Michael Richardson, the county will ask the Planning Commission to weigh in on whether to require a conditional use permit to build houses on TPZ land or whether such homes should be principally permitted, meaning they require only a building permit. The state gives significant tax breaks to TPZ landowners in exchange for their commitment to maintain timber production on that land. Counties can make their own rules about building homes on TPZ land. Some rural counties, including Del Norte, Shasta and Trinity, require both a building permit and a conditional use permit. Others, including Humboldt and Mendocino, consider homes on TPZ to be principally permitted. Given their former zero-tolerance policy for conflicts of interest, the Journal had been eager to ask Ulansey and Morris how they feel now about whether to recuse themselves from any of these deliberations. We remain open to scheduling any follow-up interviews. Environmental groups will be watching closely, and if the updated general plan falls short of their standards, lawsuits are likely to follow. Gary Graham Hughes, executive director of the Environmental Protection Information Center (EPIC), said his group has been telling the county that it needs to develop a habitat conservation plan, "and there's been no indication that there's movement in that direction." Hughes said he doesn't want to discount the possibility of working with "nontraditional allies," but he couldn't help but wonder what people would say if a leader of EPIC had been appointed to the Planning Commission. But Eric Kirk, the SoHum blogger and lawyer, said he'd be surprised if Ulansey, Morris and Fennell govern in the same fiery way that they led HumCPR. Holding public office tends to have a moderating effect, Kirk said. "I do think that people from HumCPR understand that politics can change on a dime. ... The group that has come to power, they're savvy enough to realize that they could lose it quickly. They could lose it just as quickly as they took it."